VC Home Improvement Center offers the industry’s most extensive line of premium quality cabinet, drawer, and bath knobs, pulls and other hardware, created to suit all tastes and styles. Top Knobs offer wide selection of traditional and modern decorative hardware is the result of a creative design staff and talented craftsmen. Each Top Knobs piece has the quality look and feel of custom-made, at an affordable price. 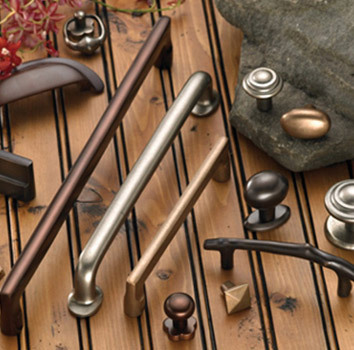 Top Knobs is the #1 leader and #1 trend-setter for the professional decorative hardware industry. Visit our showroom today to experience the design, selection, quality, value, and service that has made Top Knobs #1.